Fixed a crash issue on Windows (when text was pasted). Update sqlite library to the latest 3.25.2 version. Improved support for SQLCipher encrypted databases. Improved support for Windows 8 and Windows 10. 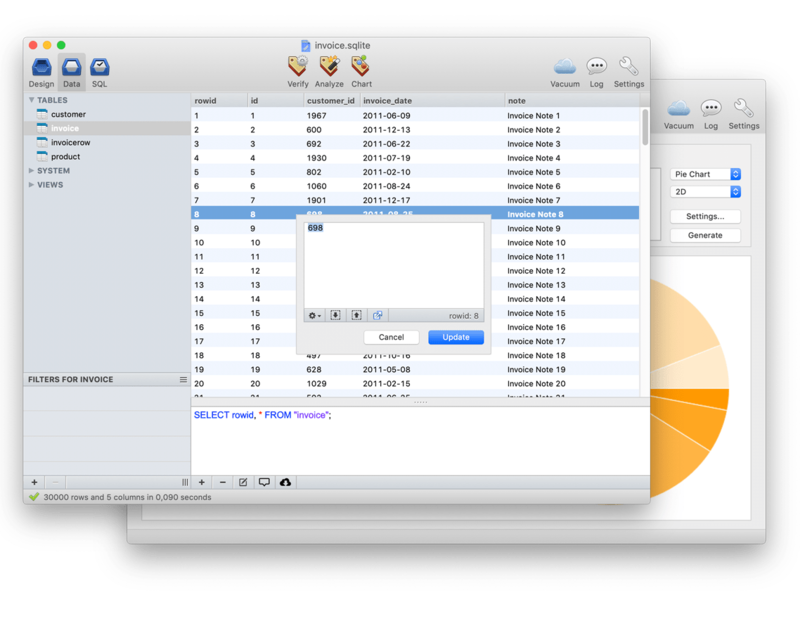 Updated sqlite to the latest 3.13.0 version. Updated SQLCipher engine to the latest 3.4.0 version. Updated sqlite to the latest 3.8.7 version. Fixed a delay issues while typing in the SQL pane. Added a preference to disable syntax highlight in SQL pane. Fixed some issue in the Dump command. Added support for SQLCipher encrypted databases. Fixed clustered primary keys in Table design.